Enid Reyes helps organizations create and implement strategic plans to connect with Hispanic communities. She facilitates collaborations between city governments, school districts, police departments, faith-based organizations and other targeted communities. 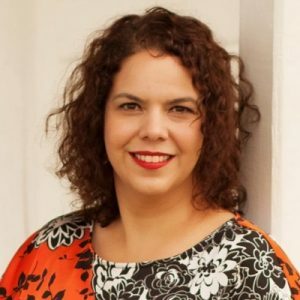 Enid was educated at Universidad del Sagrado Corazon and Instituto Teologico in Puerto Rico and holds a number of certifications in family literacy and counseling. Enid Reyes is the founder of the Grace Center for Family and Community Development. She is also a member of the Rockwall Chamber of Commerce Legislative Committee, a recipient of the Rockwall ISD Diversity Leadership Award in 2014 and is an avid sailor. Reyes was born in Puerto Rico and has travelled extensively throughout Central and South America conducting trainings for NGOs, governments and community and faith-based organizations. She has written articles, curriculum and has appeared both in radio and television programs. Enid has lived in North Texas for 25 years.